Journey to the divine spark within, create unity with oneness. 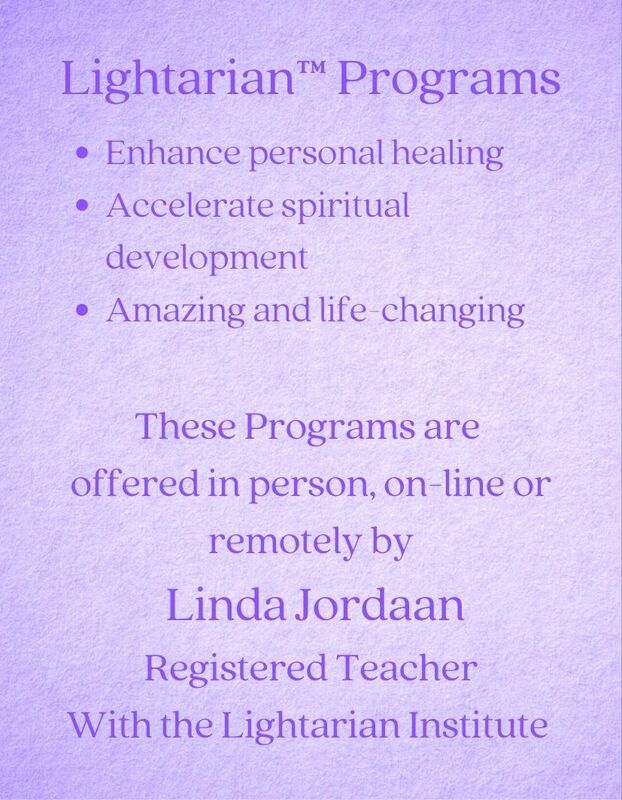 Linda Jordaan is a qualified Teacher and Facilitator in South Africa for the Lightarian™ Institute based in Tucson Arizona, concentrating with the energies of Global Human Transformation. We focus on enhancing your spiritual self-development with the highest vibrational energies of the Ascended Masters and the Angelic Realms. Attunements are a series of permanent linkages, via guided meditation, expanding and illuminating your spiritual path, perhaps even sharing with others. Group and personal attunements facilitated at Durbanville, Cape Town, or received telephonically, via Skype / Face Time or remotely. Each attunement session lasts one hour, spaced apart depending on the amount of processing required between each level, ranging from one week to one month. We give you a 10% discount for up-front payment for a complete program. To arrange your attunements please e-mail Linda or complete the booking form to the right of this page. An Angellink offers inspiration and support, embodying pure angelic qualities into all areas of your life. Create your unique, empowering relationship with five specific Angels namely : Seraph Rose Aura, Archangel Michael, Archangel Gabriel, Archangel Raphael, Archangel Uriel. The highest levels of Angelic Realm, called the Seraphim, infuse qualities of higher vibrations, strengthening your energy field and anchoring you on Earth through six attunements: Wholeness, Reformatting Communication, Removing Fear, Releasing Grief, Divine Beauty, Creating Magic. Each of the six Rays has a particular focus to support an essential aspect of your personal development with more grace and joy than you naturally would experience. Once attuned, the Masters continue to guide you through the transformational process of: Empowerment, Clearing, Healing, Activation, Manifestation and Source. The six clearings expand your awareness by gently, effectively and completely clearing all adverse etheric energies stored in your subtle bodies, chakras and physical body. They are: Path Clearing, Birth-Pattern Removal, Template Clearing, Attachment Removal, Lineage Clearing, Veil Removal. Once you have completed the foundational teachings of Usui Reiki, you will feel ready to move up through the five higher levels of healing energy. This transformative energy flows within your subtle energy fields and physical body, serving your highest and greatest purpose. 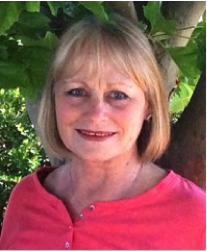 This program offers six Bands of divine Buddhic energies, without being on a Reiki path. This accelerates healing, raising individual vibration and supporting the process of Self expansion through this new phase we have moved into. Level I - Opening to the first Band of the Buddhic Band of energies. Level II - Increases Internal, External and Celestial Communications. Level III - Begins in a profound way the Ascension / Descension process. Level IV - Increasing higher vibrational levels, anchoring in Mother Earth. Level V - Merging individuals higher energies directly with the Godhead. Level VI - Final Buddhic Band energies with creation of Divine Healing Chamber. Once you are registered as a Lightarian™ Reiki V&VI Master and want to offer this program you need one attunement, the Ascension Bands™ Bridge. The work of the Lightarian Institute is designed to enhance personal healing and accelerate spiritual development… all to support the global, human transformation process! During these exciting and challenging times, many of us are here to learn and grow through the human experience as preparation for bringing more Light into this plane. We are here to refine and expand our talents and abilities to serve as spiritual teachers, energy workers, healers, communicators, ambassadors and visionaries for the Light … all to support the global-human ascension process that is unfolding here.